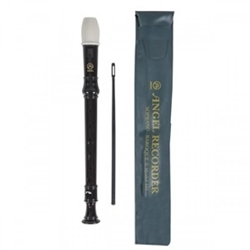 The Angel Soprano Recorder is in the key of C and is Brown with Ivory trim. One piece construction. Bag included.